You may be in the beginning processes of starting your own small business and wondering what your options are for accepting payments from clients. Of course you’ve heard of PayPal, but is that really the only option out there? This article will feature some online pay alternatives to PayPal and compare the benefits each may offer you and your new business. Amazon WebPay is a great online payment terminal alternative to PayPal because your customers will be able to use their regular Amazon account to pay you for your services. There is no hassle of making clients sign up for another account just to use when shopping with you. Amazon also provides you, the business owner, with fraud protection for no additional cost. There are no additional setup, monthly or cancellation fees so you won’t have to spend extra money to make your money. Google Wallet is typically used between friends and family for small amounts. However, as a small business owner, you may also be able to capitalize on the service. Your client won’t ever have to leave Gmail to send you payment while accepting money is just as simple. The customer can attach the money to an email just like you would any regular file. Then, when you accept the payment, the money is deducted from whatever account is associated with their Google Wallet and deposited into yours. Certainly, this could be a great option for customers and businesses who run on Google products. Paymate is a great PayPal alternative for those based in Australia and New Zealand, as it deals with the logistics management of accepting international payments for you. This service allows sellers and merchants in these areas to get money from international customers. While the service does require business owners to pay a small fee, it is certainly a small price to pay in order to simplify transactions for your global consumers. Buyers are not required to create an account, which they will definitely be pleased to hear. If you operate an international business in Australia or New Zealand, consider using Paymate as a great PayPal alternative. Skrill is a great option if you envision your business attracting clients from around the world. Skrill is supported in 190 countries worldwide and has over 150 registered users. This may be the best option for you if you know that you will need to accept payments from outside the US, Canada and Europe. Beware though, because Skrill may not be as well known in the United States. As a result, some clients may feel uncomfortable and would prefer a name they recognize and trust. BlueSnap may be another option that is not as widely-known, but is another excellent choice for businesses anticipating clients from around the globe. Available in 230 countries, BlueSnap also provides the added benefit of both a conversion calculator and conversion consultant to help make sure you are getting the most money possible. BlueSnap specifically targets merchants with customers around the world. So if you forsee that in the near future for your business, this may be a great option. 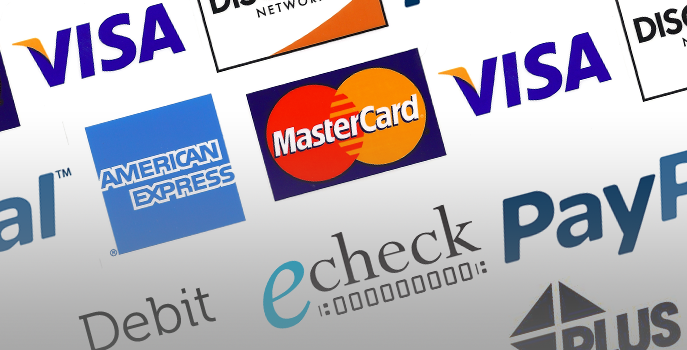 There are many PayPal alternatives for small business owners like yourself. The difficult part is deciding which option is right for you and your business. If you anticipate a more worldly client base, BlueSnap or Skrill are two great options, as well as Paymate. However, if you plan on keeping your business dealings within the United States to simplify the shipping business process, Google Wallet and Amazon WebPay are great user-friendly alternatives. Compare each site closely and make sure to make the decision that is best for your small business now so that it will succeed in the market of your choosing for years to come.